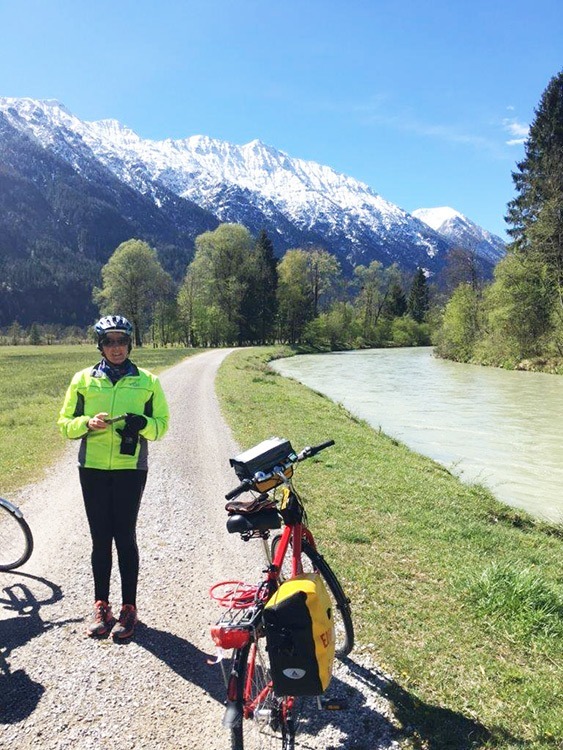 Home Travel InspirationCustomer Stories Customer Story: Exploring the lakes of Bavaria! 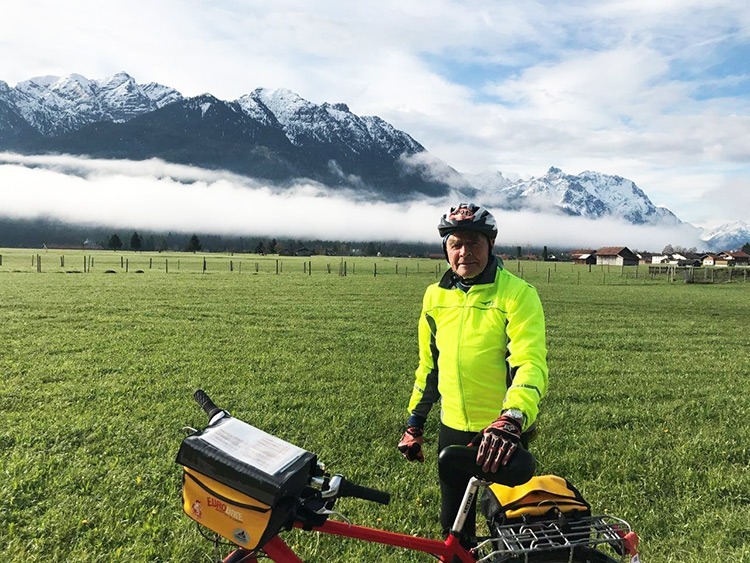 ‘On our first day, the first hour out of Munich took us through the suburbs and interesting villages en route to the town of Starnberg at the tip of one of the largest lakes in Bavaria – The Starnberger See. For the next two hours we were privileged to ride alongside the lake, through beautiful forestation with wonderful views of many sailing boats, deep sea divers, kite surfers and many walkers and cyclists. 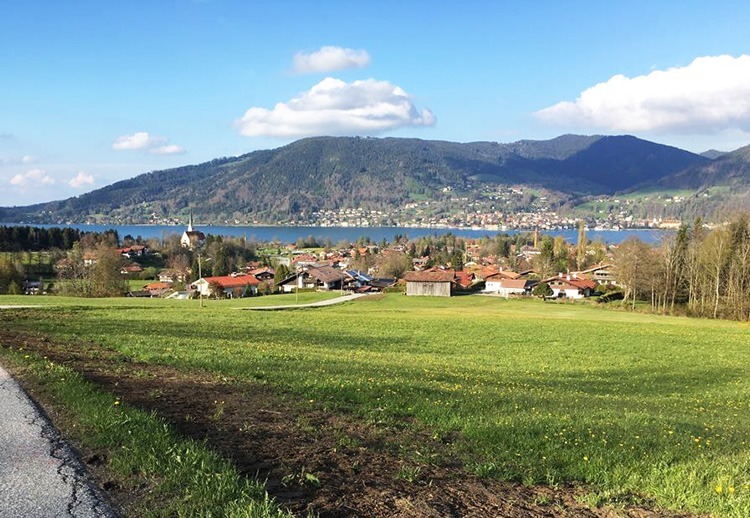 We stopped for a lakeside lunch of soup, before continuing our journey past many stunning lakeside houses through Ammerland, Ambach and on to Seeshaupt with beautiful views of snow-capped mountains. The itinerary said that the route was reasonably flat and we were delighted to find that it was! Our third day was in fact a most pleasurable ride as the route took us through the largest middle European Moor, called the “Murnauer Moos” Nature Reserve. After the heavy rains the many streams were virtually overflowing and the reserve was full of colourful flora. The gravel pathways were well maintained, and fortunately the effects of yesterday’s tough day did not detract from a brisk and comfortable ride. We stopped for coffee at “Eschenlohe” then continued on past “Oberau” with some remarkable scenery all around. On our left we had the beautiful mountain ranges, all covered in snow, and on our right the fast flowing river “Loisach”, taking us through areas of unspoilt nature. 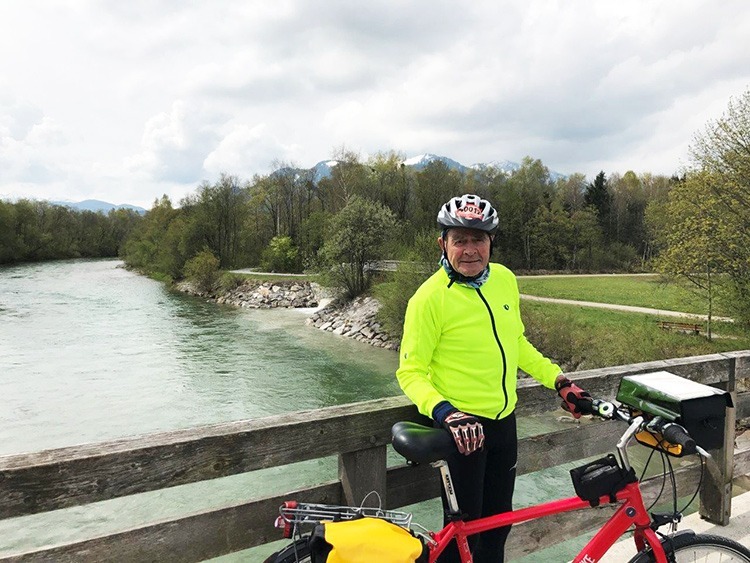 The dirt cycle paths alongside the Isar River gave us some splendid views of the countryside, and were very well maintained, allowing us to cycle at a fairly brisk pace. The Germans, in their usual efficient way, had done an incredible job in developing their cycle paths, with lots of tunnels and bridges to avoid roads and traffic. We now had about 8kms of really flat and fast dirt pathways through beautiful forestation with many bird calls, and quite a few hikers. Feeling inspired? 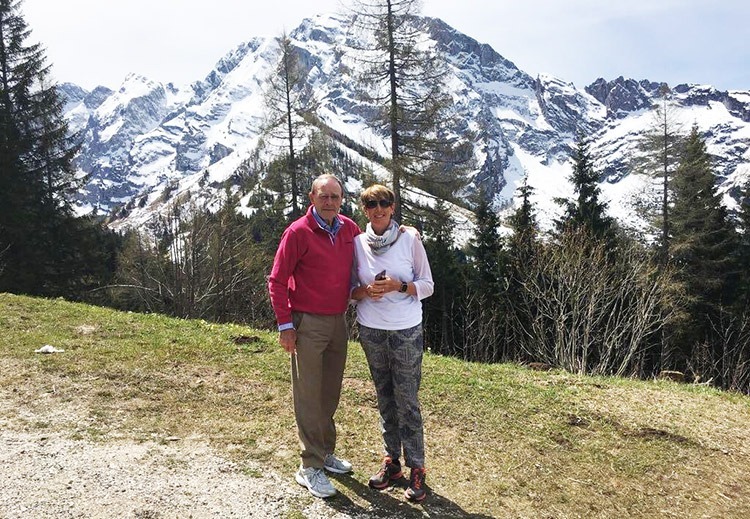 Read more about our Bavarian Lakes holiday in Germany or check out our full range of holidays in UK, Europe and worldwide!